Marshall County is a county located on the south central border of Oklahoma. Based on the 2010 census, the population was 15,840. Its county seat is Madill. The county was created at statehood in 1907 from the former Pickens County of the Chickasaw Nation. It was named to honor the maiden name of the mother of George Henshaw, a member of the 1906 Oklahoma Constitutional Convention. The county and it's cities are part of the Texoma region. Named in honor of the mother of George A. Henshaw, delegate to the Constitutional Convention. that having been her maiden name. The area covered by Marshall County was part of the territory set aside by the US government for resettlement of the Choctaw tribe and the closely related Chickasaw tribe from their lands in the southeastern United States. The Chickasaws began relocating to this area in 1837. The US Army built Fort Washita in 1842 to protect the new arrivals from raids by other tribes. In 1857, the Chickasaw Nation formally separated from the Choctaw Nation. This area became part of Pickens County in the Chickasaw Nation. Created at 1907 statehood Marshall County is in south-central Oklahoma, with Johnston County on its north, Bryan on the east, Love and Carter on the west, and the state of Texas on the south. The county name honors the maiden name of George Henshaw's mother. Henshaw, a Madill native, served in the 1906 Oklahoma Constitutional Convention. The county contains 426.95 square miles of land and water area. 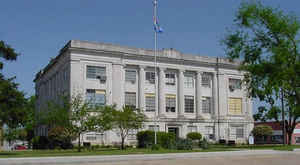 The incorporated towns are Kingston, Madill (the county seat), and Oakland. 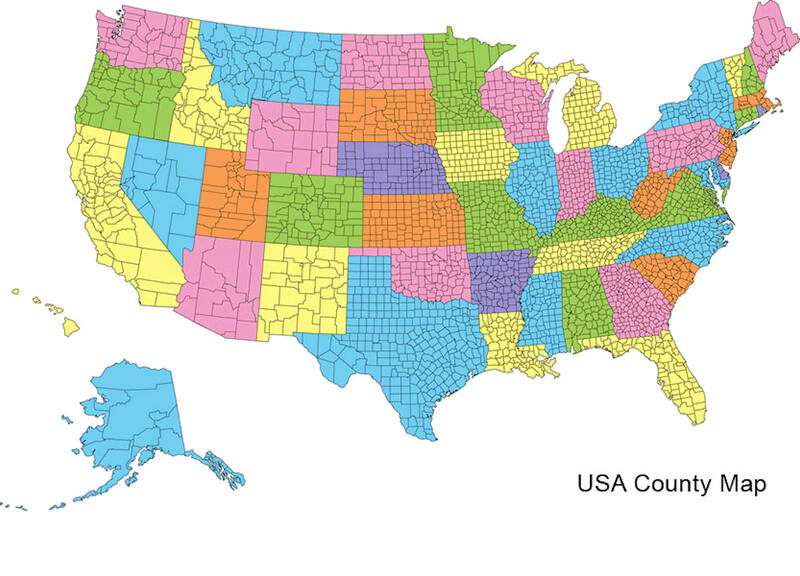 As reported by the Census Bureau, the county has a total area of 427 square miles (1,110 km2), of which 371 square miles (960 km2) is land and 56 square miles (150 km2) (13%) is water. 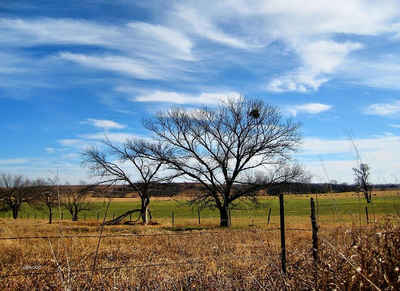 It is the smallest county in Oklahoma by land area and the third-smallest by total area. The Red River drains the county and formed the county's southern boundary. Completion of the Denison Dam in 1942 created Lake Texoma which inundated part of Marshall County's land area and forms the current southern boundary and the eastern boundary of the county as well.